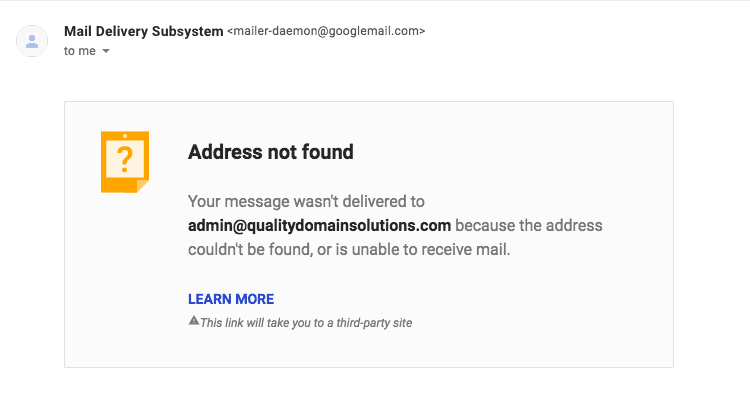 QUALITY DOMAIN SOLUTIONS Review 2019: Is QUALITY DOMAIN SOLUTIONS a Good Hosting? QUALITY DOMAIN SOLUTIONS is an Australian based company selling a wide variety of hosting services. While the customer service is lacking (in my experience), it’s a budget brand with some impressive features. QUALITY DOMAIN SOLUTIONS (QDS) is an Australian based hosting provider offering a wide range of services. Uniquely, its data center is a cluster of globally distributed redundant servers. The website is available in English. This company has servers distributed all around the world, so when you select your hosting package, you can choose whether you would like your servers to be collocated in the U.S., India, U.K., or Hong Kong. Obviously, with this model, it would be impractical for QDS to own all of the data centers, however, always bear in mind the downsides (slower response time to issues and increased risk of overselling resources) of using a company which collocates, instead of owning its own center. In terms of features, there’s a lot, which is great. Beginners get a Softaculous one-click installer, which comes with a low number of programs (50 as opposed to 300 or 400 offered by other companies), however, all of the popular programs are included e.g., WordPress, Joomla!, and Drupal. 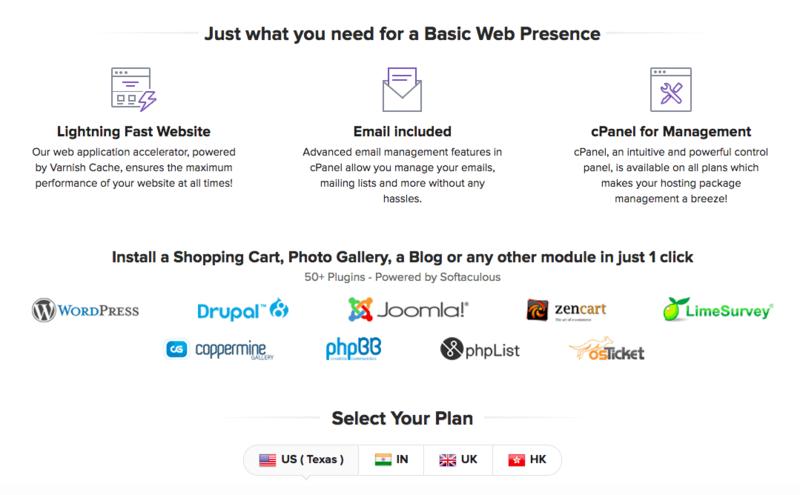 There’s also integration with a few different website building tools; Weebly, Website Builder, and Impress.ly (for apps), as well ready-made themes, plugins, and logos for you to use on the website. Of course, these all come at an extra cost, however, it’s helpful for beginners to get started easily. Experts will find support for PHP 5.2.x to 7.1.x, Perl, Python, RoR, CGI, and cURL, along with MySQL databases, and cron jobs to ensure your site runs smoothly. There’s currently no SSH access, if that’s important to you. If you’re a high traffic website and you can’t afford downtime, be aware that the uptime is 99.9%, with no corresponding service level agreement. The prices are great, considering the level of resources. For example, both of the Linux shared hosting plans come with unmetered disk space and bandwidth (the only difference is that the lower package comes with three domains, while the highest comes with unlimited), and there are also combo plans that include everything you need including domain names, SSL certificates, website building tool, etc. Plans can only be bought in three month terms, which is unusual, however, considering the prices, it’s understandable. There is a no argument, 30-day money-back guarantee as well. You can contact support by email and phone to the sales, technical, or billing department, or there is a generic contact form on the website. While the site refers to a knowledge base, it throws a security error when I try to access it and when I contacted support by email even though they claim 24/7 support, unfortunately, the email address bounced back, so I can’t comment on the quality of the customer service team. QUALITY DOMAIN SOLUTIONS has a substantial website and comprehensive range of plans. The customer service is limited and the uptime is not backed by an SLA however, the prices are great and the plans use SSD. If you’re a beginner, do yourself a favor and check out the combo packages, these will get you set up quickly and easily with everything you need. Wondering how QUALITY DOMAIN SOLUTIONS stacks up against other Web Hosting companies? Enter any other Web Hosting company and we will give you a side-by-side comparison.